Volunteers continue to search Upper Lopez Canyon and eastern Arroyo Grande for a dog who was washed away on Sunday, Dec. 19. 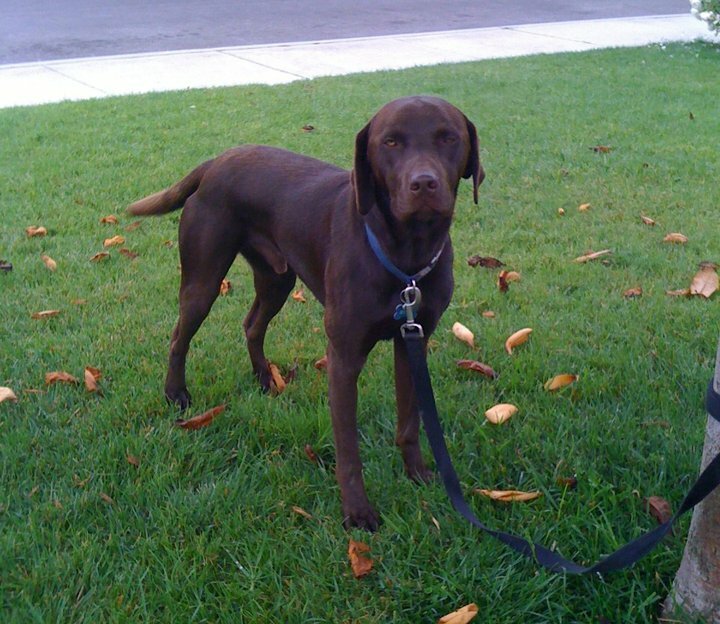 Ethan Brown and several friends were jogging, along with Brown’s chocolate lab Otto. The dog got too close to the raging water, fell in, and immediately got caught up in the swift current. Brown immediately jumped in the water to try to save his dog, but failed to reach him and had to give up. People with any information about Otto can call Brown at 598-8835 or email ethanisbrown@gmail.com. I’m keeping my eye out for Otto. From our past experience he still may find his way home. I guess I don’t understand why the owner and dog were out in the horrible weather of that week-end running when flood avisories and storm warnings were all over the news for days? I’m sorry that he lost his dog but he is very lucky he didn’t lose his own life in the process. Here’s hoping Otto beats the odds and shows up somewhere soon. I’m on the computer today because everyone kick me out of the kitchen (food) and living room (TV). What greatly concerns me about Otto is, the coyotes, they are predators and attack in packs. Rain or shine I would be out there till I find him. How ’bout CCN post up a link to a Google Map of the immediate area where Otto was last seen with some details of the conditions like direction of water flow, etc? Labs can be very strong swimmers so hopefully Otto was able to keep his head up till he got near solid ground and was able to pull himself out. It saddens me to think of such a great dog out there on his own without his owner to care for. I’m glad to see this story here. I heard a piece of it on Congalton the other day and was wondering..